At SBIA, we believe our teamwork approach adds a broader perspective to all we do and provides increased benefits to our clients. Brian has made some strategic acquisitions in recent years that have helped to strengthen and bolster Small Business Insurance Agency. SBIA has risen from a small local insurance agency to a national, full service insurance superstore. Mr. Soltys has over 22 years of insurance industry experience, joining the Small Business Service Bureau, Inc. in 1986 and shortly after moving over to the Small Business Insurance Agency, Inc.
For over 30 years Ms. Moquin has worked with the agency’s customers on service issues with their health, life and property casual insurances. Andy Kelly has been a Licensed Insurance Agent with SBIA for over 10 years. Understanding and meeting the goals and objectives of his client is his one and only focus. His areas of expertise are Employee Benefits and Individual Insurance. With over 24 years of experience, Brad has the knowledge and understanding of every aspect of the insurance industry. Brad’s expertise spans over many different facets of the insurance world. Chris brings an extensive wealth of knowledge of employee benefit programs to her clients. She specializes in advising employers on all aspects of employee benefits including group health, life, and disability insurance. Specializing in the insurance industry takes a straightforward, knowledgeable, driven and receptive individual. David brings over 20 years of experience and all these attributes to the table. Dwight has been in the insurance industry for over 20 years recommending employee benefits, group and individual products. 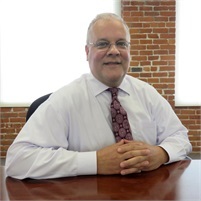 Prior to joining SBIA, he worked as an Annuity and Life Insurance Specialist for MetLife. Erik has over 15 years of employee benefits experience and is aligned with key benefits advisors, insurance providers and enrollment partners to provide a complete financial fitness solution. Originally from the UK, Rob joined SBIA in 2005. 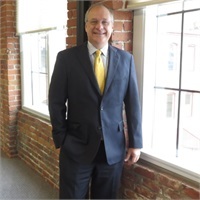 Licensed in Health, Life and Property & Casualty, Rob possesses a wide range of knowledge for health plans across several states. Ryan comes to SBIA with over 10 years of experience in the SMB space and a zeal for using his consulting background to provide his clients with the best level of product and service. Barbara has worked in the insurance industry since 1984. She has earned her Property and Casualty License as well as the CISR Designation. Barbara works with both commercial and personal lines insurance. Kevin has worked in the insurance industry since 1985. He has a diverse personal lines insurance background. Marcela Swan has worked in the insurance industry since 2003. She joined SBIA in 2006. She has worked with long term disability patients and is now currently working in property and casualty. Shannon began her insurance career handling complex automobile insurance claims for a major carrier and transitioned over to the agency side in 2004. She joined SBIA in August of 2013. Dawn has been with SBIA since 1998 servicing and supporting brokers and their client’s needs. She has a great deal of experience with new business submissions, additions, terminations and billing & claim issues. Deborah Hackett has over 12 years of experience in the Insurance Industry administering Health and Insurance benefits from Fidelity Investments to Unemployment Insurance. She enjoys getting to know her customers on a personal level.